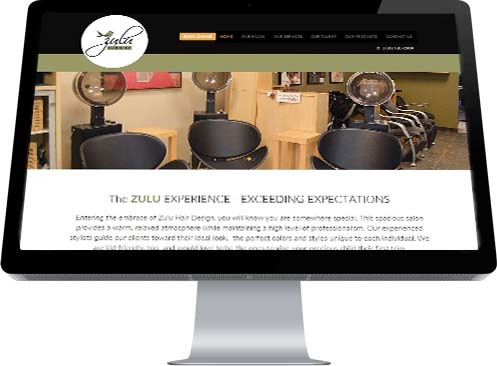 Zulu Hair Design in Leduc needed a website with impact, being in a very competitive market. Besides an alluring Home page designed for portable devices, Zulu owners had deemed an online booking program was essential to their site. Additionally, they wanted a page that laid out their product options as well as their suite of services they offered at their salon. Galleries to show off some of their past hair creations and their well-appointed building interior were also called for. Zulu also requested a way to highlight their personable, professional staff as part of their new website.